Samaritan Hospital will receive $250,000 as part of the Substance Abuse and Mental Health Services Administration’s (SAMHSA’s) first-ever Zero Suicide grant. SAMHSA awarded the $3.5 million Zero Suicide grant to the New York State Office of Mental Health (OMH), which is distributing the funds to five health systems across New York state. As one of the five chosen sites, Samaritan Hospital will receive approximately $50,000 annually for five years, as well as technical assistance, training, and implementation support. As the only hospital in the Capital Region to receive the grant, Samaritan Hospital plans to use the funding to expand its suicide prevention services. The hospital will recruit a project coordinator to work with the OMH to implement evidenced-based practices, improve clinical competence and confidence through training and support services, and revise practices to develop individualized care pathways for persons at risk. 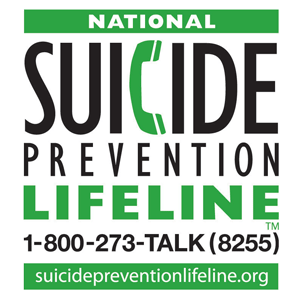 According to the American Foundation for Suicide Prevention, suicide is the 12th leading cause of death overall in New York, with one person dying by suicide an average of every five hours in the state. And while the statewide suicide rate is high, it’s even higher in Rensselaer County. Between 2014 and 2016, there were 61 suicides in Rensselaer County—an average 12.8 people per 100,000. Statewide, the rate was eight people per 100,000. Handler said while those numbers are alarming, perhaps even more startling is that a large number of people who completed suicide had tried to seek medical help. The OMH reports that in 2016, 37-percent of people who committed suicide visited an emergency department in the 12 months prior to their deaths. Forty-five percent visited a primary care office in the month before dying, while 19-percent saw a mental health professional in that same time frame. “Our goal with this grant is to improve how we identify patients at risk and ensure that they receive the help they need,” Handler said. This effort comes at a critical time given recent data from the Centers for Disease Control and Prevention (CDC) that acknowledges suicide as a growing health problem. From 1999 through 2016, the CDC reported the age-adjusted suicide rate in the United States increased 25-percent, from 12.3 to 15.4 per 100,000 population. 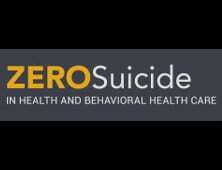 The Zero Suicide model is both an aspirational and pragmatic approach for systemically integrating suicide prevention in healthcare settings. It represents a consolidated effort on the local, state, and federal levels to address the nation’s suicide epidemic. Supporting this is the foundational belief that suicide deaths for people under care within health and behavioral health systems are preventable. Samaritan Hospital has earned regional recognition as a community resource for individuals needing behavioral health treatment to overcome a range of psychological/psychiatric and addiction challenges. The hospital’s comprehensive crisis, inpatient, outpatient, and care coordination programs provide diagnostic, treatment, and rehabilitation services to more than 5,000 individuals annually. Samaritan Hospital is recognized as a clinical leader in the areas of dual diagnosis and geriatric psychiatry. If you or someone you know needs help, call the National Suicide Prevention Lifeline at 1-800-273- 8255.